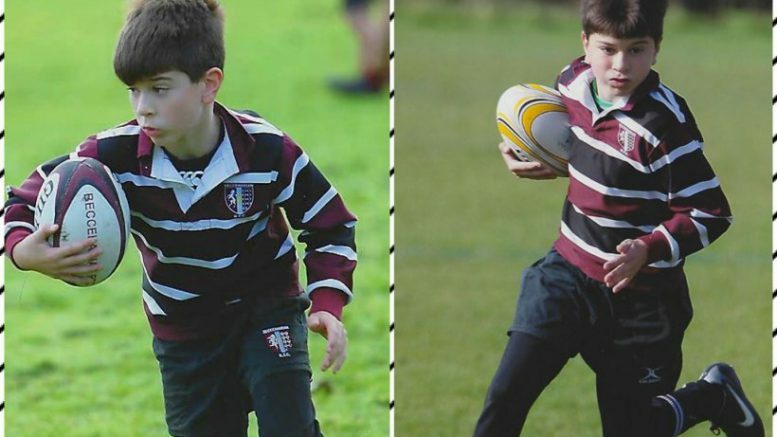 Beckenham RFC will join a host of other local rugby clubs later this month as they take part in a fundraising event in memory of 10-year-old boy and rugby star, Christy Jordan, who sadly passed away from a brain tumour last year. Beccehamian RFC, who are based in West Wickham, are hosting the inaugural Memorial Festival which will see all proceeds going to The Brain Tumour Charity. Christy was born in May 2006 and fell in love with all sports from an early age. However, his first and biggest love was for rugby and he joined Beccehamian’s at the age of five. Christy was diagnosed with an aggressive brain tumour on Christmas Eve 2015 and attended The Royal Marsden Hospital Sutton for a programme of treatment. He sadly lost his battle with the brutal disease on May 10, 2017, two weeks short of his 11th birthday. The festival will take place over two weekends – on Sunday, March 11 and Sunday, March 18. Teams from 15 local rugby clubs across every age group from U7s to U11s will be competing. As well as Beckenham and Beccehamians, the other clubs taking part will be Bromley, Dartfordians, Old Dunstonians, Edenbridge, Gravesend, Mid Whitgiftians, Old Colfeians, Old Whitgiftians, Parkhouse, Sevenoaks, Sidcup, Warlingham and Westcombe Park. Be the first to comment on "Beckenham RFC to join memorial event for rugby star"